Diego Costa one of the best center forwards in Football. He rise to fame as super star footballer after joining the team of (Atletico Madrid) in 2010. He played with the club 2014 and scored 43 goals in 93 matches. Costa joins Chelsea late in 2014, on a five year deal and get paid weekly wage upto (£150,000). In the very first season with Chelsea football club from (2014-15) he made 37 match appearances and scored 21 goals. In 2013, he made his international debut for the Brazil team but later a year after he considers to play for (Spain). Since 2014, he made played 16 matches and scored 6 goals for Spain. His overall best season with Chelsea F.C is during year (2016–17). He scored 22 goals for the club in all competition. Costa won two Premier league title with Chelsea in year (2016-17, 2014-15). 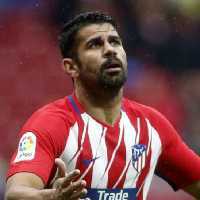 In the start of the year 2018 he moved back to Atletico Madrid. He won two super cup titles with Atletico Madrid team in (2010, 2012). Costa lifts the title of (La Liga 2013-14) with Atletico Madrid.